Sidney Rittenberg was the only American ever to join the Communist Partyof China, working closely with Mao while translating his works into English. His interview published in Al Jazeera sheds interesting light on The Great Helmsman who may be dead but whose presence looms large as various groups lay claim to different aspects of Chairman Mao’s thought as it evolved from the days of the Long March to the disastrous Cultural Revolution. 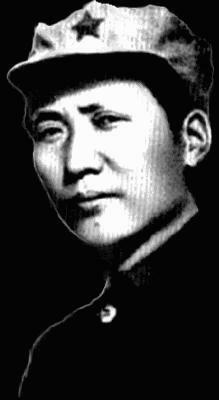 Understanding the mind of Mao is also to understand the reversal of the socialist revolution in China. SR: I think it was his own ideology in Marxist clothing. Not that he was not a sincere Marxist. But his view of Marxism was to take dialectic materialism and use it to analyse Chinese reality and then develop a Chinese programme. He had no interest in copying what was done in the Soviet Union or any other country. In the days before the PRC [People’s Republic of China] it was whether the Chinese revolution would depend on the peasants or urban industrial workers. And the orthodox Soviet line was that Marxism belonged to the proletariat. There was no Marxism in the mountains they used to say. The peasants are backward. But Mao said when the Party educates the Chinese peasants they could be just as good revolutionaries as anyone else in the world. That was the bedrock of his thinking. AJ: Mao has been revered across the world. Why, and does he deserve it? SR: I don’t think he deserves reverence. I think he deserves acknowledgement as a serious historical leader at a certain period and he needs to be studied, both the good and the bad. And I think he was not content with seeing China plod along. He wanted to see China advance to a prominent position in the world during his lifetime and I think he became overly ambitious. He said in 1958 at the beginning of the Great Leap Forward that he would use the strategy and tactics of a people’s war and not use the Soviet way of brick upon brick to build the economy. This was totally unrealistic and resulted in this huge man made famine. I think it was what went on inside his head that was the problem. His plans during the Great Leap to catch up with Britain and America met with opposition from almost all his sober-minded colleagues. This awoke the conspirator and narrow envious peasant in him.